Have you ever been at a loss for just that special gift for your loved one? Here is one custom gift you can give – jewelry! What woman does not want jewelry?? Especially when it is custom and has photos of her children and family on it! 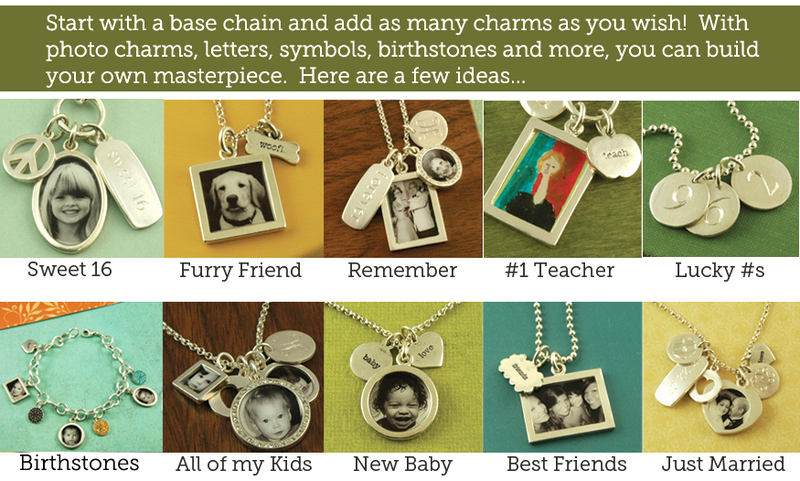 Here are a few ideas for jewelry that is sure to please mom, grandma, sisters, aunts, cousins, etc. This jewelry is available through Acclaimed Photography, http://www.AcclaimedPhoto.com.